Geysir, one of the most famous spouting hot springs of the world, its name the source of the English word “geyser”. It is believed that Geysir started spouting in the 13th century. However, at the beginning of last century it stopped altogether, possibly because it was half choked by visitors throwing rocks and turf into the spring in order to activate it. 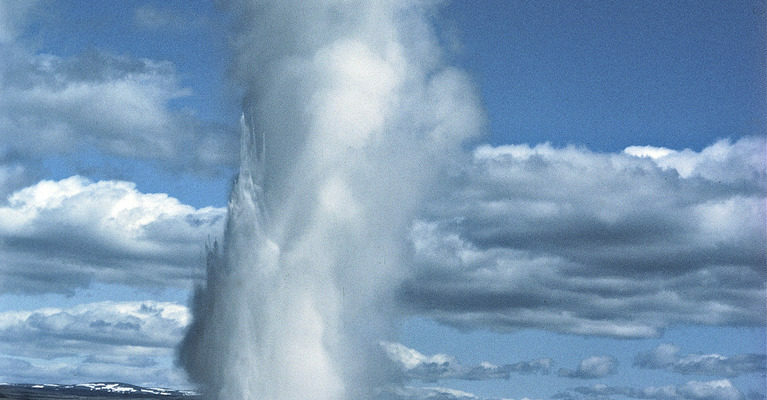 In 1935 it was re-awakened by lowering the water level and at its best spouted to a height of 60 m.
The nearby Strokkur spouts with great frequency. Nice hotel, restaurant and a shop.